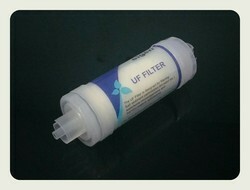 UF Membrane 5": PARA UF Membranes Made in Korea Result Oriented quality product. Useful for domestic water purifiers. Original Hollow Fibre UF Membrane from Para Korea. Size 4-5"
Ultrafiltration is a versatile and economical solution for filtering large molecular weight materials. We are the leading manufacturer or supplier of Ultrafiltration Membranes, These are manufactured using high grade raw material and are reckoned for their high quality, fine finish, abrasion resistance, accuracy, durability and high performance. 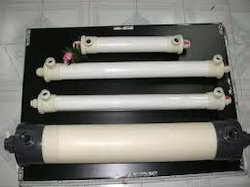 These Ultrafiltration Membranes can also be modified as per the client's requirements.